Let me cleanse my topical palette some by talking about competitive pinball. Some big-picture stuff, anyway. 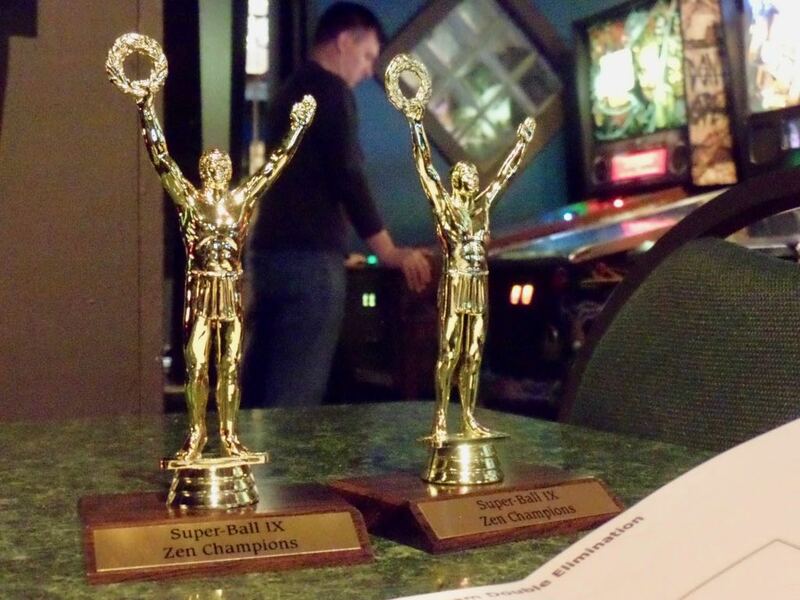 The International Flipper Pinball Association has been trying to tamp down the New York Superleague. Superleague is this pinball league in a hipster bar in Manhattan that encouraged everyone who walked in to put up a game and so ``enter'' the league. Most of these people never play again, and don't want to. But their participation means that they generate IFPA ranking points, which the serious players collect. So they get boosted in the ratings. Exploiting the rules? Certainly. But a basically legitimate exploit that puts the Superleague players in the highest echelons of the official rankings. Where it gets illegitimate is they were, according to rumor, writing down the scores of people who were just playing casually and entering those regardless of whether the people meant to play in the league, or even knew they were being signed into a league. And that the IFPA wanted to eliminate. Superleague's promised not to sign up people who don't actively consent to the league. Here's where we get into really messy potential scandals. Ratings points expire in time, so within a couple years all the overranked Superleague players would vanish or sink back to their proper spots. (Unless Superleague works out other exploits, which they have done in response to past rule changes.) IFPA wasn't interested in waiting, and chose to, as best as possible, eliminate the scoring generated by people who didn't actually mean to participate. And that's defensible as their scores shouldn't have been counted to start. But there's no way to track down who all was legitimate to start and who wasn't. Their best proxy, then, was to eliminate people who'd played in less than half of the qualifying games, the theory being someone who played one or two games might have just been having fun, while someone who played ten (or whatever) was serious about participating. Is it fair to apply retroactive score changes like this? Well, you will see the NCAA punishing a team for misdeeds by vacating old wins, although that seems dubious too. And now the part where it gets into involving me. One of the Superleague folks has turned this around and said, well, how do you know these scores by other people in other similar leagues are legitimate? Shouldn't you apply the same participate-in-half-the-games standard to them? For example, the Blind Squirrel League, which bunny_hugger and I use as a points mine. For some reason the IFPA is going along with this, even though --- I had thought --- the Superleague nerfing was meant to be punitive. 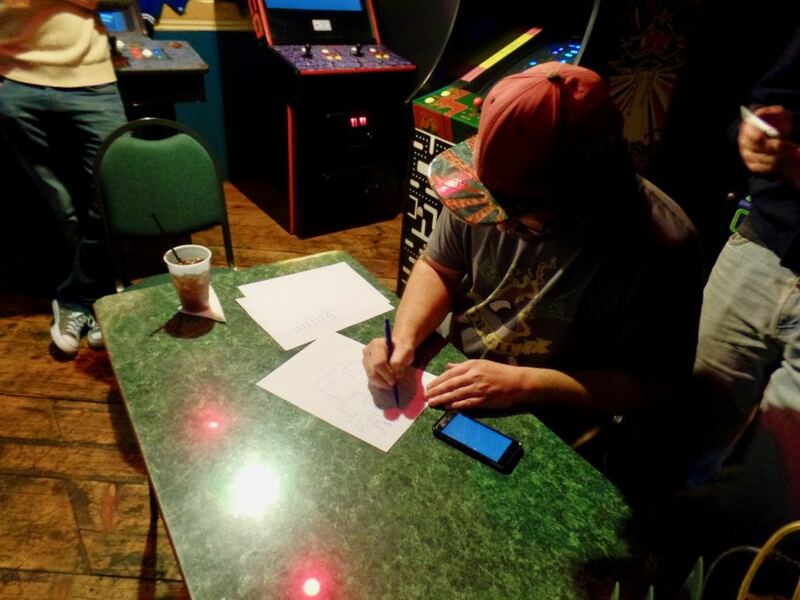 People who entered scores in Blind Squirrel League (and some similarly-run events) couldn't have had any reasonable doubt they were participating in a pinball competition; there's perfectly clear signs and postings and they have to take action to get their scores recorded. Also an irony here is that Blind Squirrel League was targeted mostly because its records were online and open to anyone who wanted to see what was going on. AJH, running it, has always been careful to comply with the letter of the IFPA rules and to show his work where others can verify. If he weren't so honest his league probably wouldn't have been picked on. The Blind Squirrel League got its nerfing recently. bunny_hugger and I lost about a hundred positions in our world ranking, and other Blind Squirrel League regulars were similarly hit. Could've been worse. And it didn't hurt our state rankings appreciably; everyone who would've lost points in the nerfing lost about the same fraction of points. I can shrug off the loss to world rankings. But it feels like something unjust went on here. The Superleague nerfing is defensible on the grounds that it's the best practical approximation to removing the people who didn't consent to play in the league and recalculating league scoring, although I'm not sure that I would have done that anyway. Going after Blind Squirrel League seems indefensible. I'd like to think I'd feel the same way if it weren't something that hit me and bunny_hugger. But it is so hard to know you're not being self-serving. Trivia: The Latin zodiac sign Cancer was in Sanskrit `Karka'. It's not clear what it was in the Babylonian scheme. Source: Mapping Time: The Calendar and its History, EG Richards. Currently Reading:	 Handwriting In America: A Cultural History, Tamara Plakins Thornton. PS:	How Much Might I Have Lost At Pinball?? if you haven't read enough about that.